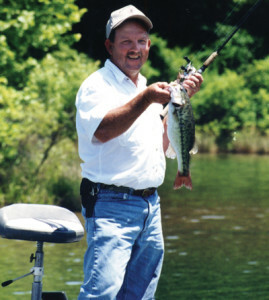 Fishing in one of the Bear Creek Lake’s many lakes is ranked among some of the top lakes to fish in the country. Occupying over 8,000 acres, the clean waters provide anglers with abundant small and large-mouth bass as well as crappie and channel catfish. Local Fishermen have landed many large bass and crappie with the record bass weighing in at 15 lbs. 10 oz. It is not uncommon to see fish snared in the lakes in the 10-12 pound range. Access to lakes has been rated excellent. BEAR CREEK RESERVOIR: Impounded 1969. Surface Area – 670 acres. LITTLE BEAR RESERVOIR: Impounded 1976. Surface Area – 1,560 acres. High Stumps – 100 acres. Fish Stocked – largemouth bass and channel cat. UPPER BEAR RESERVOIR: Impounded 1978. Surface Area – 1,850 acres. Standing Timber – 205 acres. Fish Stocked – spotted bass, channel cat, crappie and largemouth bass.